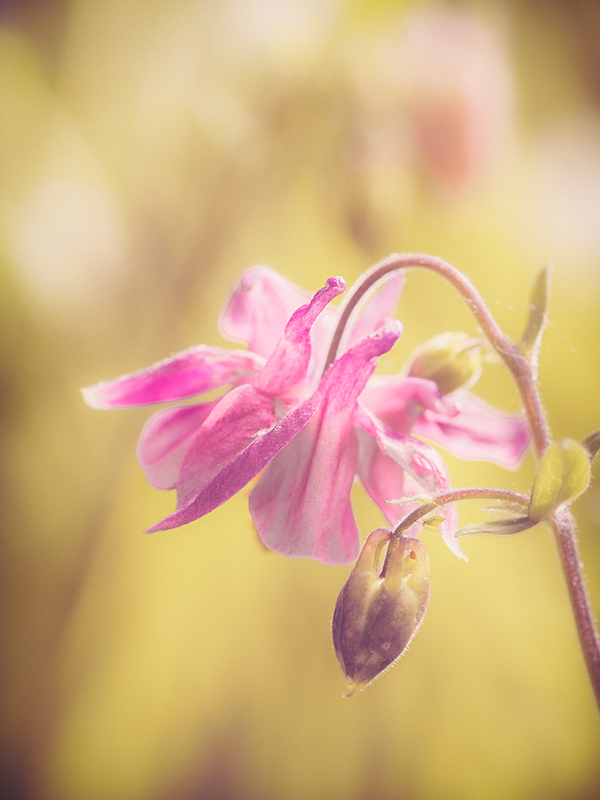 Faded Summer Colour – Not the title of this image but of the Preset I created to produce it. Yes, I know that I keep going on about using emotional triggers in photography but it’s a fascinating subject. It’s also a great way to make ordinary images more interesting. And if you want to consider yourself as more of a visual artist than a photographer, I would say it’s pretty much essential. Today’s example shows the creative impact colour and tone shifts can have. For your reference, the original image is shown below. And the starting image captured with an Olympus EM5 and 60mm Macro lens. The global changes I have made are to the colour, exposure and the contrast. 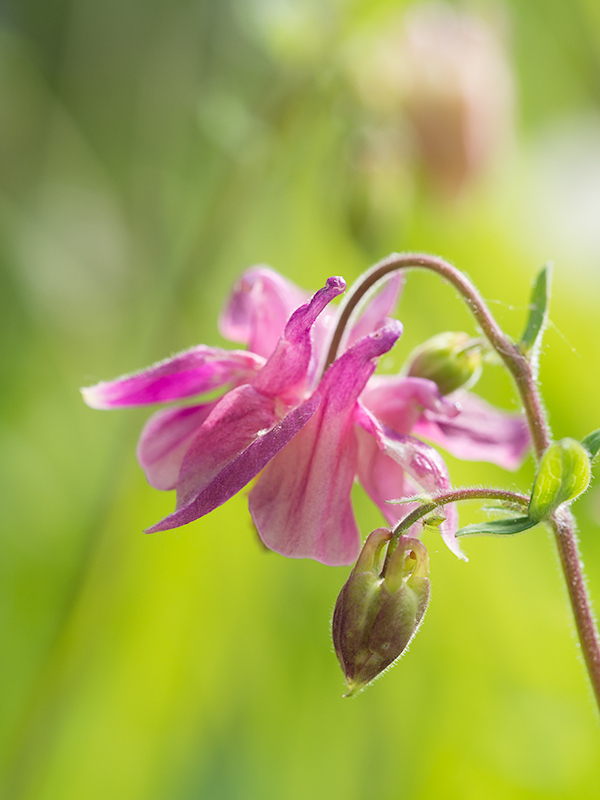 I have also increased the clarity in some areas of the flower using the Lightroom Brush tool. If you look carefully on the lower stem above the bud, you will find a greenfly hanging upside down. I thought twice about removing it but decided to leave it in. If I were to produce this as a finished arty image I would probably blend the image with a textured background to add even more appeal. But as this example is about colour and tone, I have restricted the adjustments to exposure, contrast and colour. If you are wondering which tools I used to make all these changes, everything was done in Lightroom. If you are a Lightroom user who likes the image and are interested in recreating the look with some of your own work, please let me know. If it’s a popular adjustment I will make it available on my Lenscraft site as a Lightroom Preset that can be downloaded. I’ve not been sure about some of the previous “emotional” images but, for whatever reason, this one works for me. Thanks Andrew. I can understand some of the images not appealing to people but I’m pleased this one connects. Great work. Yes, I would like to know how you did this. Thanks Don. THat’s good enough for me. I will publish the preset shortly so anyone with Lightroom can recreate this.